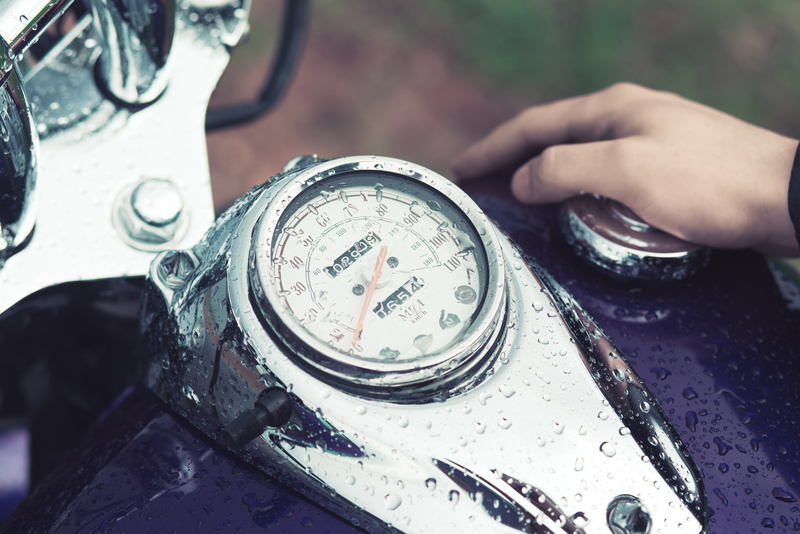 Home > General Articles > What Weather is Bad for Motorcycle Riding? The safest thing to do when the weather is bad is not to drive you bike at all. However, if you must ride your bike in inclement weather conditions, use extreme caution! Water can make roads slippery, causing you to lose traction. Slow your speed. Wear a bright colored layer to increase your visibility to other drivers. Water on the roads increases your stopping distance, so increase the distance between you and the vehicle in front of you. Debris can be washed into the middle of roads so keep an eye out for obstacles. Oil drips can be present on the road, making the surface extra slick. If you absolutely have to ride in the snow, slow down. Increase the distance between you and vehicle in front. Watch for hazards partly concealed in the snow. Road salt can result in a loss of traction. Beware there may be black ice on the roads. Wear extra layers to stay warm. Observe how strong the wind really is by looking at flags and trees to see how much they are moving. Lean over your bike. This presents a smaller profile to side winds. Bend your elbows for more control in steering. Before you hit the road in rain or snow, make sure that you’re covered with quality motorcycle insurance. Contact The Schwab Agency in Colleyville, Texas for the correct coverage at the best price.